She appeared in editorial Photos in many magazines including LOOK, LIFE and TV Guide. Julia Meade at the bar of the Fan Club, a restaurant in Ogunquit, Maine owned by Julia's husband, O. Worsham Rudd (left). The view is overlooking Perkins Cove in Ogunquit, where the family had a Summer house. 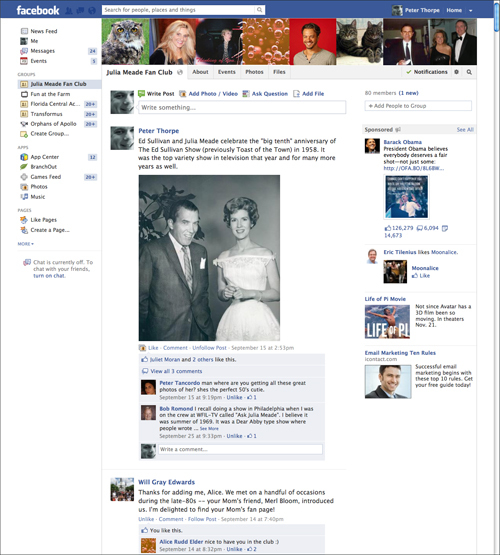 The Julia Meade web site maintains a Facebook page for Julia called the Julia Meade Fan Club. It contains material not seen on this web site, as well as comments and posts from friends and fans.